12 Ways to Build your Child's Self-Esteem - Parenting - Something New Everyday! 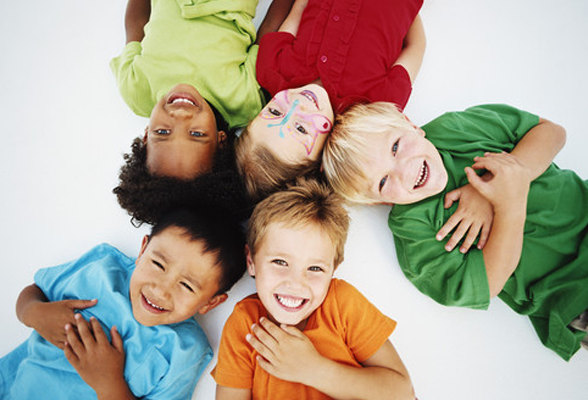 The early years of a child's life are the foundation for a positive self-esteem. As parents, we cannot control everything our child sees, hears or thinks, which will be contributing to his or her self-image. But there is still much that we could do. We have the child at the earliest years of his life; G-d has given us a special gift--a new human being with a "clean slate." During those early years, what goes into the child's mind is very impressionable. Parents are therefore provided with a unique, never-to-be-repeated opportunity to set up a "self-esteem bank account" in which the child will store many positive things about him or herself. In the years and decades to come, this "bank account" will balance out negative experiences, which are unavoidable. Show love and affection to your child. All our dealings with our children, starting from infancy, should be done with a lot of affection and love. A baby who was dealt with love and affection will get a subconscious feeling that s/he is worthy and important enough to be loved. Compliment your child. Give your child compliments as often as possible, whenever they do something right. Say, "I am very proud of you. You are very special. I like the way you have done it." Make your compliments credible. It is important, however, that the compliments be credible. Exaggerated compliments like, "You are the best in the world. You are the nicest person that ever lived" can actually be counter-productive. The child will develop an inflated ego, and that can affect his relationship with friends, which in the long run will have a negative effect on his or her self-esteem. Set goals for your child. The goal should be something attainable--to get dressed by herself, to get a certain mark on his next test. Set goals that are suited for the child's age and capabilities (setting a goal which is unattainable will have a negative effect). As the child works toward the goal, coach her along and compliment her success each step along the way. Once the child reaches the goal, compliment her achievement and reinforce her self-image as an achiever. Criticize the action, not the person. When the child does something negative, say to the child, "You are such a good and special child, you should not be engaging in such an activity," instead of saying, "you are a bad child." Validate your child's feelings. When your child suffers a blow to his self-esteem, it's important to validate his feelings. For example, if the child gets offended by a hurtful comment made by a friend or a teacher, say to the child, "Yes, you were offended by what that person said" or "you were offended by the fact that the other person doesn't like you." Only after the child feels that his feelings have been validated will he be open to you bolstering his self-esteem by pointing out the people who do like him, and the positive things that others have said about him. Be proud of your child. On a regular basis, we must remember to tell the child how fortunate and how proud we are to be her parents. Talk positively about your child in the presence of important people in his life, such as grandparents, teachers, friends etc. Never to compare your child to others, saying, "why aren't you like Johnny?" When such comparisons are made by others, reassure your child that she is special and unique in her own way." Make sure that others dealing with your child know your child's strengths. At the beginning of the school year, speak with your child's teachers and tell them what your child's special strengths are and about the areas in which he or she excels, so that the teacher will have a positive outlook towards them and will continue to build on those strengths. Tell the child on a regular basis that you will love them unconditionally. When they fail, or do the wrong thing, remember to say to them, "You are special to me, I will always love you, no matter what!"